Why wait for new construction?? This home is ready now and fully landscaped! Incredible location backing to pond and views of the 10th green! Engineered floors on most of the entire main level. Large eat in kitchen with island, gas range, granite counter tops, separate eating area, pantry, and all appliances. open and bright floor plan. Formal Dining room. Family room has a gas fireplace. Large secondary bedrooms. Main floor study and laundry room. Master bedroom suite has a nice sitting area. 5 piece master bath. Nice deck area ideal for entertaining. Central Air, 3 car garage. The clubhouse and pool are incredible! Close to Southlands Mall. 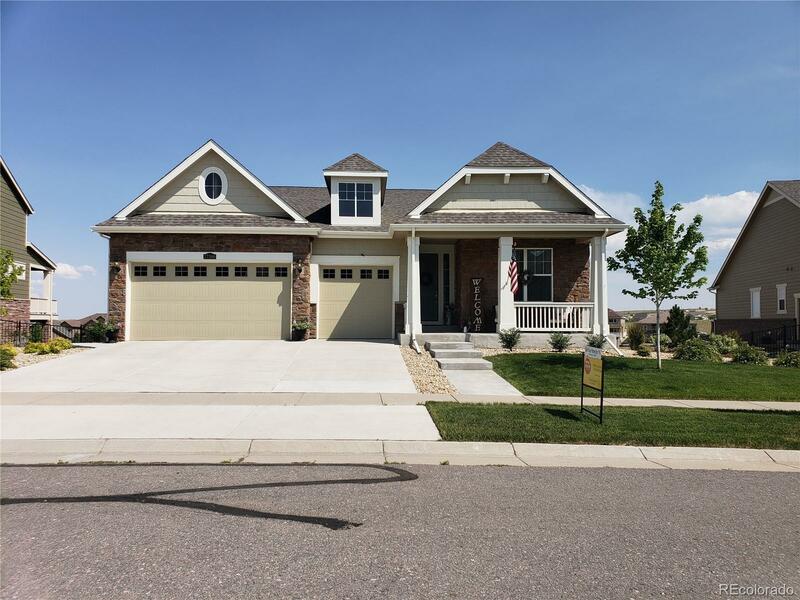 Easy access to E470 and DIA... this is a must see home!! !